SINGAPORE (June 29): Catalist-listed DeClout announced on Tuesday its subsidiary, Procurri Corporation, has lodged its preliminary prospectus with the Monetary Authority of Singapore, in connection with its proposed listing on the Mainboard of the Singapore Exchange. Procurri is the provider of servers, storage and other networking equipment and various IT hardware, equipment and software services. Procurri says its business covers over 80 countries worldwide and has offices across three continents, in five jurisdictions, namely, the US, the UK, Mexico, Singapore and Malaysia. Additionally, it recently incorporated a subsidiary in China. DBS Bank is the issue manager, bookrunner and underwriter of the proposed listing. 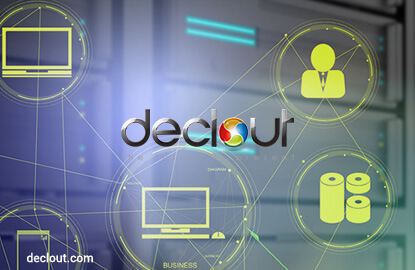 “The proposed listing is in line with DeClout’s growth strategy to identify, incubate, scale and harvest growing businesses, and this will potentially mark DeClout’s first successful spin-off,” says DeClout in a Tuesday night filing to the Singapore Exchange. DeClout shares closed 1 cent higher at 22 cents on Tuesday.